A 44-year-old man has been jailed for six years for setting fire to a flat in Balsall Heath. Alphonso Wickham of Thynne Street, West Bromwich, set fire to the top floor flat of a converted house in June 2011. 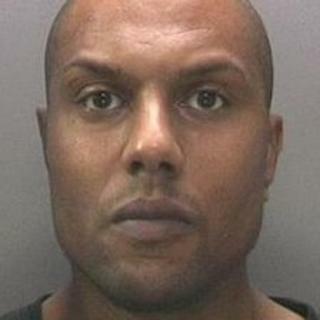 He pleaded guilty to arson, being reckless as to whether life is endangered, at Birmingham Crown Court. Speaking after the hearing police said one 60-year-old man was seriously hurt after he jumped 25ft (7.62m) to escape the flames. Five other people also had to escape the fire. Police said Wickham went to the flat in Raglan Road at 16:30 BST on 15 June 2011 and set fire to the staircase and internal door before throwing accelerant over one of the occupants. The injured man was on a life support machine for some time and two more people were treated for smoke inhalation. Det Con Phil Caldwell from Force CID said: "This could have easily have been a murder enquiry." Police said those injured had since made a full recovery. Wickham was also given an additional 12 month sentence, to be served consecutively, for four counts of taking class A drugs into or out of prison.